Ostara helps protect precious natural resources by transforming how nutrients are managed from source to field. Of all the challenges facing our growing population, none are more critical than conservation of our natural resources and food security. Vancouver-based Ostara helps protect valuable food and water resources by changing the way cities and industries around the world manage essential nutrients. 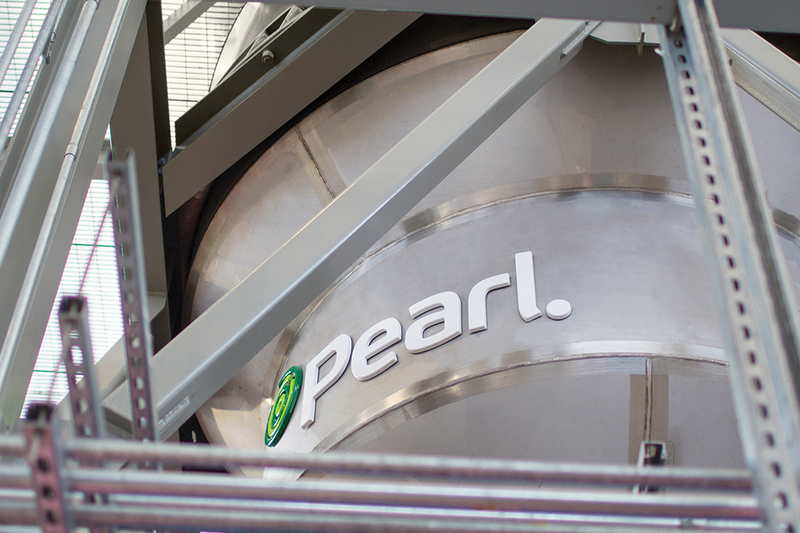 Ostara’s proprietary Pearl technology recovers nutrients from industrial, agricultural, and municipal water treatment streams, transforming them into granular fertilizers that improve crop yields and reduce runoff. 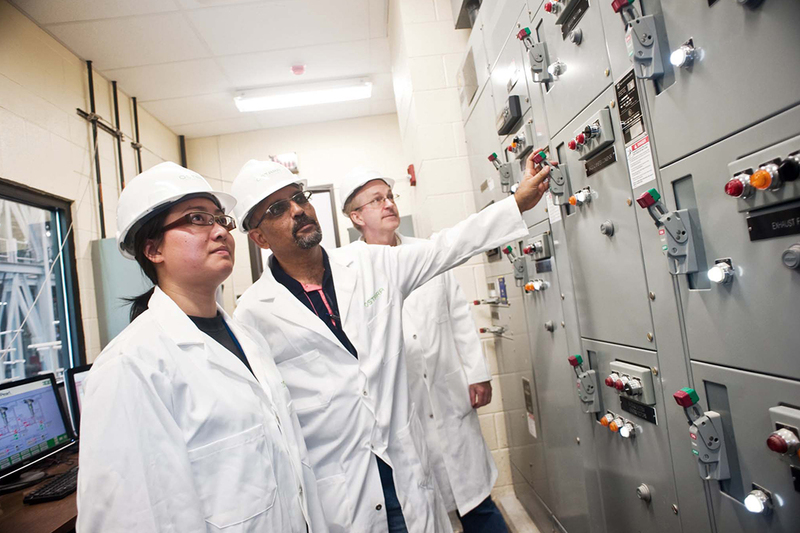 We are transforming the commodity market value chain and closing the loop on phosphorus for future generations. Ostara produces a renewable product that directly contributes to a sustainable food system and conservation of natural resources. 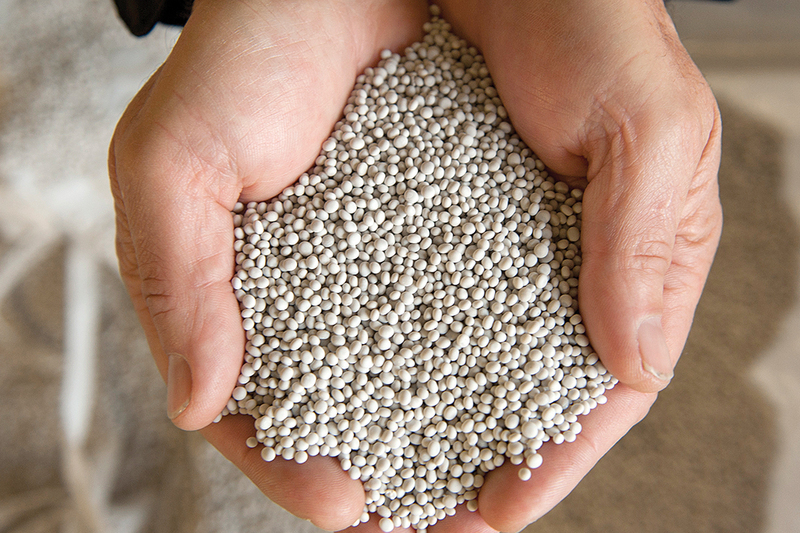 Learn more about the future of phosphorus. Phosphorus is fundamental to life. Managed responsibly it helps grow the crops we need to feed a growing planet. 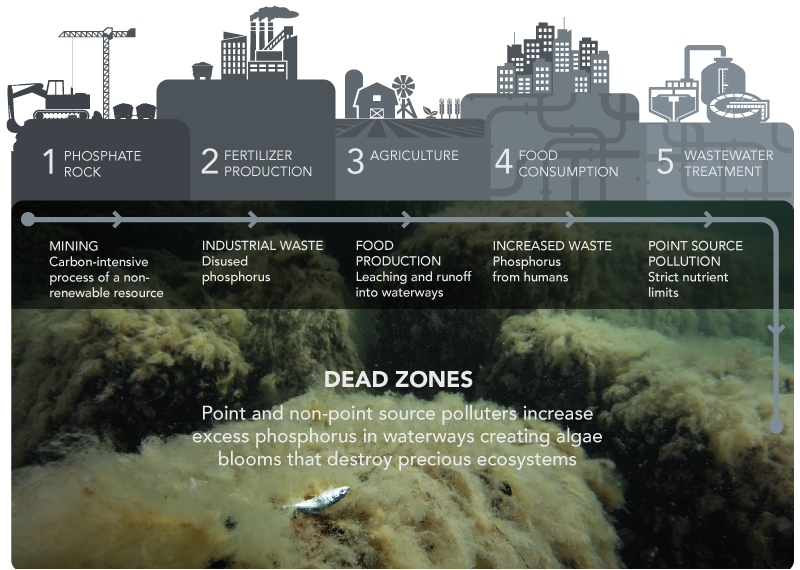 Unmanaged, excess phosphorus can cause algae to grow and bloom in waterways resulting in toxic conditions that destroy aquatic life and limiting recreational enjoyment and the lifeblood of the fishing industry. 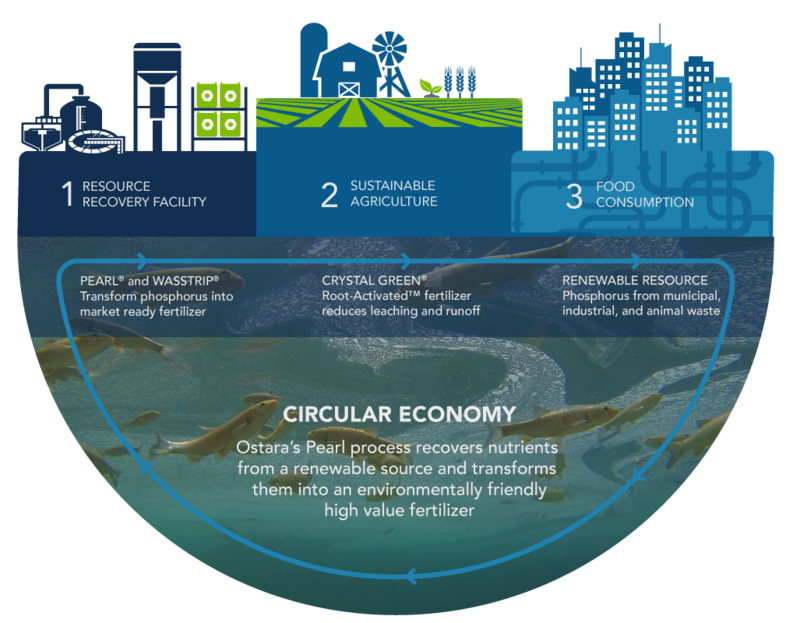 Ostara’s nutrient recovery solutions are transforming resource recovery— closing the loop on a broken cycle. 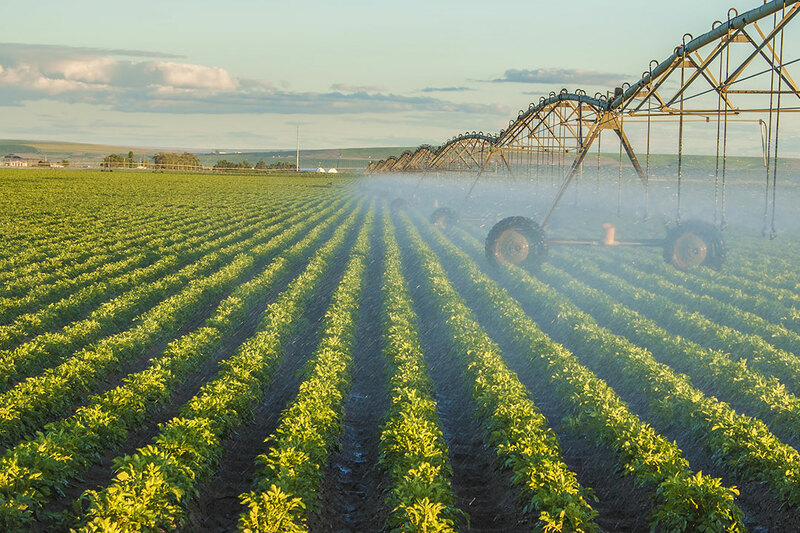 In addition to the cost benefit of recovering nuisance nutrients, the solution helps protect local waterways from nutrient pollution at a time when clean water, food security, fertilizer runoff, and growing populations are issues for communities around the globe.